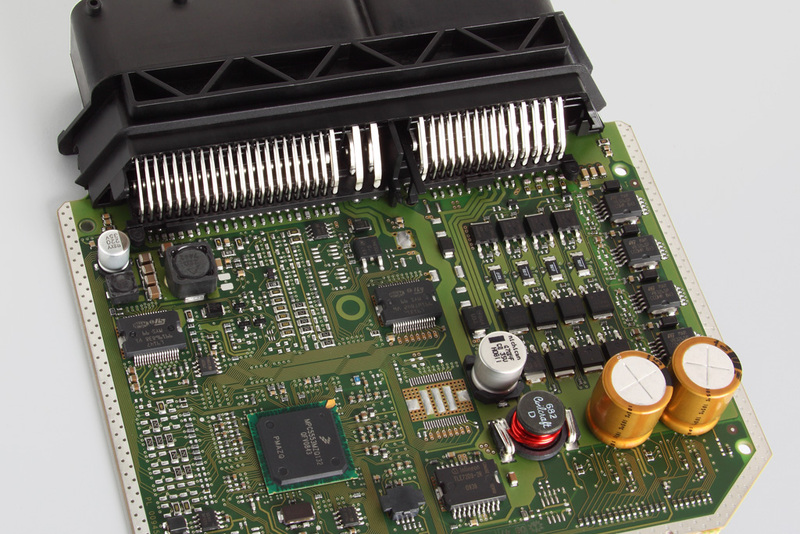 The hardware component of the Electronic Control Unit (ECU) is designed to allow excellent architectural flexibility, resulting in optimized costs and performances. In fact, the Hardware composition can be adapted to the various engine/vehicle configurations through a “scalar” approach, thanks to which it is possible to start from a full version of the same logic core to arrive at optimized versions in function of market specificity. The Time-to-Market is reduced thanks to the possibility of carrying out a preliminary calibration in a simulated environment. Thanks to the modular approach, the GDI software can be fully customized for the different customer requests, the automatic code generation also allows the codesign software strategy prototyping.